Good Products Direct (GPD) Host provides comprehensive SSL certificate security options and solutions to inform your website viewers and customers that your website is safe and secured by Secure Sockets Layer (SSL) encryption; protecting sensitive data against fraud and identity theft. When visitors to your website see that you have SSL protection, they know your business is trustworthy and they can proceed and purchase with confidence. All GPD Host partner brands providing SSL certificates are official Certificate Authority (CA) organizations, authorized and trusted to sign digital certificates. CA providers verify the identity and legitimacy of any company or individual requesting SSL certification. 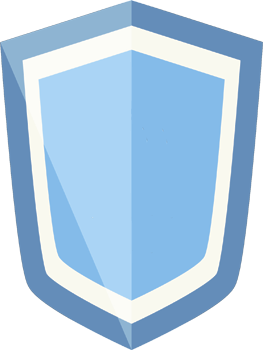 GPD Host only issues authority-verified SSL Certificates. 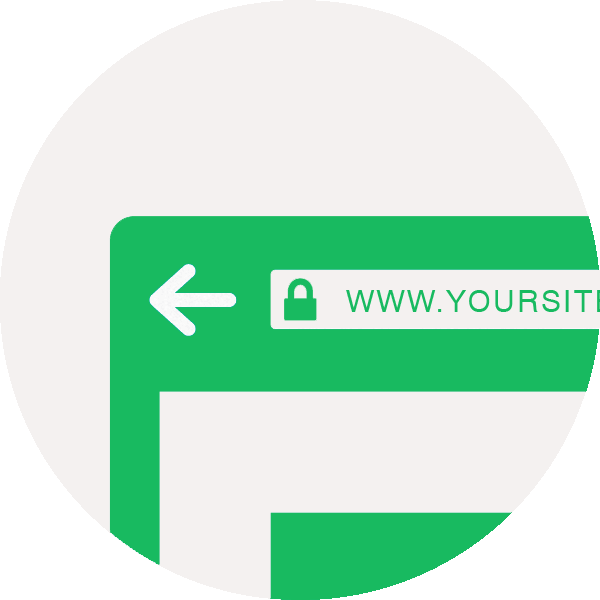 Domain Validated (DV) SSL certificates are the lowest-priced SSL Certification option for validation and encryption of your website domain or domains; popular for blogs, personal websites and small business sites they do not offer ecommerce or capture financial information. Extended-validation SSL certificates are recognized by users and the Internet-industry as the safest and best option for validation and encryption. Sites requiring credentials or log-in, and those capturing financial data or sensitive personal information require the extra-security of extended validation.  A single-domain SSL certificates provide encryption and security for a single unique domain name or single subdomain. Example of single domain and sub-domains: “mysite.com”, page.mysite.com. A multi-domain SSL can secure several websites by including many domains on one certificate. It's ideal for organizations with multiple unique domains hosted on a single server. For example: "mysite.com, mysite.org, myothersite.com, anothersite.com”. Follow these four steps to encrypt and protect sensitive customer data against fraud and identity theft. Manage and secure domains in GPD Host Account Panel. Green bar verification and website trust indicators available. 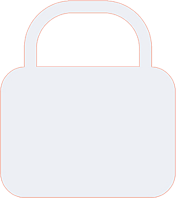 Choose from SSL certificates options from three accredited partner providers, and the type of SSL certificates. Enter required information to purchase SSL certificates and receive confirmation. Select SSL certificate within dashboard, enter domain and company / personal / administrative information for partner-provider validation. Generate CSR code and private key in Control Panel. Receive verified SSL Certificate install files, and follow installation instructions to upload the install files into the Control Panel and complete your purchase process. Update or renew, reissue, or make changes to SSL Certificates. Manage the information associated with your SSL Certificate in GPD Host Account Panel. 24-hour customer service available. Every SSL certificate featured provides Secure Sockets Layer (SSL) 256K encryption and website trust indicators; with industry-standard support, and more! Evaluate security options and “Good Products Direct” to you by GPD Host. All GPD Host SSL certificates partner providers include a Website Seal of Certification trust indicator, a visual reminder to customers that your site is encrypted, validated and protected. Website Seal of Certifications vary by partner provide (CA) brand and type of certificate. GPD Host support team personnel are ready and waiting to provide 24-hour service to you. Our staff is highly-trained and knowledgeable; chosen for performance and politeness. We’re helpful people available to answer your questions and offer advice about our industry and products. All partner providers (CA’s) offer SSL certificates that are compatible and are supported by all popular versions of web browsers including Google Chrome (tm), Internet Explorer (tm), and Mozilla Safari (tm), and others; ensuring an optimum browsing experience and SSL verification across all web browsers. GPD Host CA-authorized partner providers ensure high-level website and domain security via SSL Certificates generated with 256-bit encryption, where the capabilities of web browser and server are sufficient. The strength of SSL encryption is determined by the number of bits used to generate the encryption key encrypting the data. While 128-bit encryption is generally considered both sufficient and the industry standard for data protection, 256-bit encryption is twice as hard to break.